Bengaluru: To boost budding talent among students of Government Schools ‘Colors of Life Sinchana 2017’, was organized today at Ambedkar Bhavan Auditorium, Bengaluru with great fanfare. More than 1200 students from 13 different Government Schools and 1 children’s home participated in the event. Organized by Colours of Life in association with LXL Ideas, the event was supported by Embassy Group which featured enjoyable and action-packed competitions for students across fifth grade to tenth grade. The event consisted of fun and exciting competitions such as Group Dance, Singing, Quiz, Public Speaking (Extempore), Painting, Essay writing, Mehendi design and others. 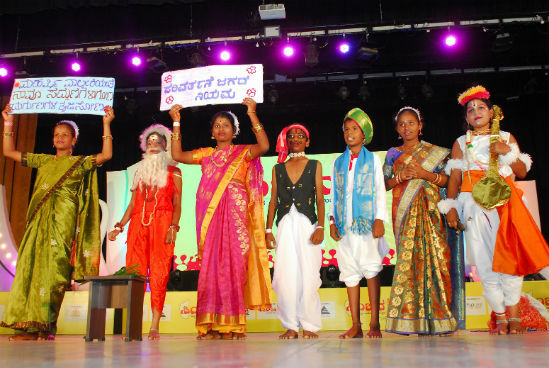 ‘Sinchana’, a first of its kind fest organized for kids at government schools was initiated last year to encourage children to pursue their talents. It is held on Children’s Day which falls on 14th November every year. Sinchana strives to recognize the efforts of every child and helps them build the ability and confidence to pursue their interests. Shaina Ganapathy, Head of Community Outreach, Embassy Group commented, “It has been a wonderful journey with Colours of Life and we commend them for initiating an event like Sinchana that enhances the learning of the students, making it a memorable event for the participants. We wish to extend further support towards ‘Sinchana’ and encourage a larger number of kids to express themselves in the coming years.